Technology provides with many conveniences and opportunities. It’s even possible to use your smart phone or tablet to monitor and improve your health. There are a number of apps out there that you can use to count calories and even track your heart rate. It’s even possible to use your phone or tablet as a personal trainer to manage your workout. If you’re ready to take your workout to the next level in order to improve your fitness, the right apps can be a big help. Plus, with the right apps, you don’t have to worry about keeping up with your exercise program when you are on the road. Your program comes with you. 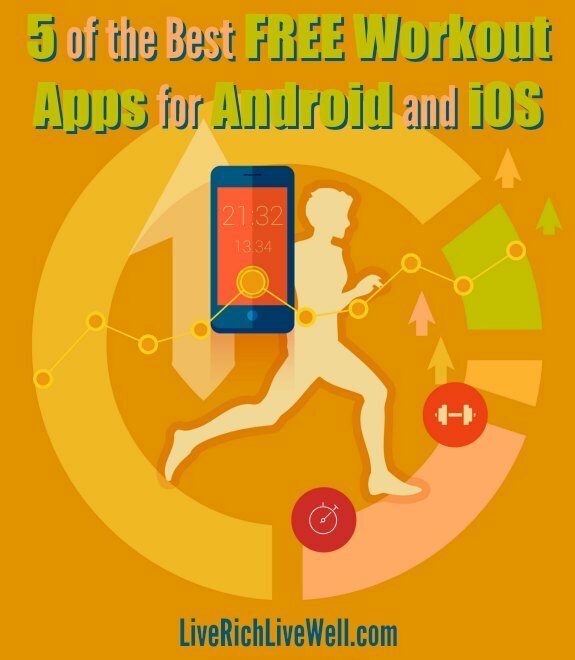 Here are some of the best free workout apps for Android and iOS. Don’t have a lot of time to get in a workout? Johnson and Johnson offers an app with seven-minute workouts. If you find yourself with a few minutes at lunch, or at any other time, you can use this app to quickly get in a little exercise. This app is great for someone who is just getting started with fitness as well. Many of us have a hard time committing to a long workout at first. With this app, you can gradually build up to more exercise time during the day. Using FitStar is like having your own personal trainer to help you out. You can keep track of your progress and get help with your routine. You’ll find workouts of different lengths, and geared for different goals. It’s a good way to meet your goals, whether you’re at home or on the road. FitStar also comes with options to access premium content for a price. However, for many people, the free version of the workout app works just fine. If you are into running and cycling, this is one of the best free workout apps available. You can use this app to track stats associated with your daily run or bike ride. It’s a good way to track your progress and see if you are meeting your goals. On top of that, there is an option to help you gamify your workout. If you are looking for extra challenges and a way to compete with friends and family, Strava is a great choice. It makes working out a lot of fun. This is another workout app with social aspects. You can use Fitocracy to look for routines and track your workout progress. One of the great things about this app is that you can get your friends involved. You can compete with each other, encouraging you to take your efforts to the next level. This is also gamified, allowing you to earn achievements and bragging rights as you go along. If you want an accountability partner as you work toward a healthier you, this is the app for you. You can also add coaching starting at $1 per day. One of the best free workout apps out there is Workout Trainer. This is an app that provides you with routines aimed at different goals. You can find workout routines geared toward different muscle groups, as well as routines aimed at burning calories. Not only that, but you can also use this app to create customized workouts. There is a premium option available if you are willing to pay, offering you access to more features and a wider variety of workouts. You can use one or more of these workout apps in conjunction with an app that helps you watch your nutrition. Combining these apps with a diet app like Lose It can make a lot of sense because good health is about more than just exercising. If you want to include your emotional and mental health, you can get an app that helps you meditate or fall asleep at night. Taking care of your whole body makes sense if you want to get the most out of these apps. Many of these workout apps are also compatible with wearable technology. You can use these apps in conjunction with a smart watch or with a FitBit. The way different devices are interconnected now means that you have more options for managing your health, and fewer excuses for skipping a workout and making unhealthy choices.